” Moto+Mais Author: midiacanal10 Keywords: moto suzuki consórcio yes burgman intruder Added: August 6, 2008 ” — Comment from person that made video. Do You Have a Favorite Burgman Scooter Ride? Pict from the forum had a great idea for us to be able to share ride maps and info with each other. So I went ahead and built the submission page for favorite ride information. Springer is certainly dedicated to his Burgman 400 K7 scooter in Australia. He’s spent some time doing all sorts of modifications that you certainly won’t find anywhere else. 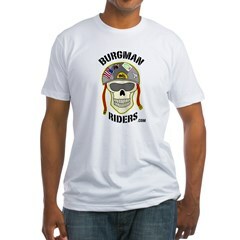 I think Danny, our resident Burgman artist, has outdone himself with the new Burgman 650 artwork and illustration. I think it is awesome looking. This was taken on the break-in ride from Oregon to Yellowstone on a Burgman 650. The panniers, racks, and top box were not used on this trip and only one Givi bag. Fiche for 2005 Suzuki Burgman 650. Fiche for 2005 Suzuki Burgman 400. Our very own favorite author here, Dave Neatherton, (Smyrna Cowboy) has evidently great powers to persuade at least one motorcyclist to contemplate giving up his bike for a Burgman.